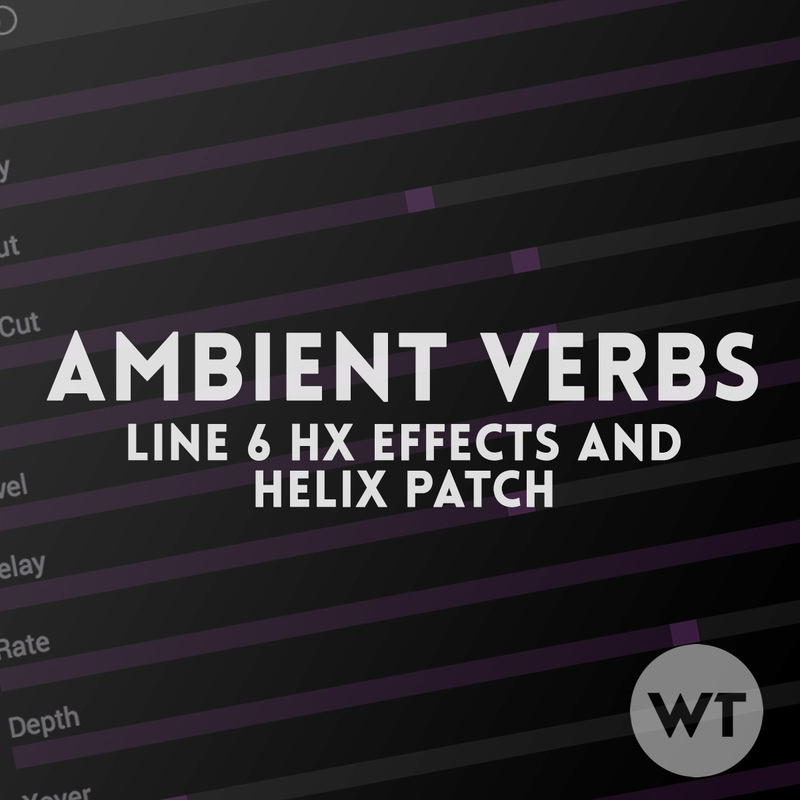 We like these two verbs the best for an general usage ambient reverb to use underneath normal playing (not swells). Glitz is the bigger sounding of the two, and Ganymede has a Boss RV-5 Modulated sound. This one sounds great when layered with another verb, or for use in swells. If you are familiar with the Mr Black Supermoon, you’ll recognize this reverb. It has a haunting sound, and it pitch shifts up and down (you never really know which) when the modulation is set high. Our setting is pretty conservative with the mod. These two verbs sound best when layered with other reverbs. They are both set up in a way to add texture rather than sound huge on their own. Please feel free to adjust and combine these reverbs to suite your playing style. Why did we make a patch of just reverbs? This patch is part of our ‘Building Blocks’ series – a collection of patches you can use to create a database of effects sounds. The idea is you can have a collection of reverbs that are specifically dialed in for praise and worship music that you can pick from to build your own patches. You can leave this patch in your HX Effects or Helix, and then copy/paste effects blocks from it into your own patches to create exactly what you want.